My husband woke up a few days ago with what he thought was a raging toothache. Before the day was over, his cheek was swollen to double in size. It never occurred to either one of us to try CBD (cannabidiol) to treat the pain and off to the hospital he went. He normally has a good pain tolerance so I knew he was really hurting. As luck would have it, we were not even near our dentist. In fact, we were just starting a house sit in St. Catherine’s, Ontario so had no idea where the hospital even was and had to Google it. If you have gone to a hospital before to emergency, then you know there is usually a long wait. He left about 7:15 in the morning and was back approximately 10 a.m. Asking him how he made out, he flashed a couple of prescriptions at me – one for amoxicillin and one for Tylenol 3 which contains codeine. Amoxicillin – an antibiotic used to effectively eliminate infection. Tylenol 3 – a version of over the counter Tylenol and contains Codeine and is prescribed for severe pain. The doctor had told him that his gums were infected and said he would have to take both prescriptions for 7 days. She also asked him if he was on any medication and he said that he took medical marijuana and CBD for pain management. If my husband hadn’t been in so much pain, or if we were near our dentist, I don’t believe he would have gone to the hospital in St. Catherine’s for treatment. On our way to Walmart to get the prescriptions filled, I thought about what he said and thought – can you use CBD for toothaches? But First, What Is An Abscessed Tooth/Gums? Definition: It is a pocket of pus that forms in different parts of the tooth as a result of bacterial infection. If not treated it can spread to the gums and bone and cause moderate to severe pain that can sometimes radiate to the ear or neck. On a scale of one to ten, I would say my husband’s was about a 9 with a great deal of swelling. (1) Periapical abscess – an abscess at the tip of a tooth’s root which then spreads to the surrounding bone caused by a dead or decaying tooth. (2) Periodontal abscess – an abscess on the gum next to the root of a tooth and is usually caused by an infection in the space between the tooth and gum. It can occur if food gets trapped between the gum and tooth. (3) Gingival abscess – an abscess that is not an ordinary periodontal infection and can cause severe inflammation. The Canadian Dental Association estimates that seven out of 10 Canadians will develop some type of gum disease during their lifetime. Most likely, the doctor never made a ‘specific’ diagnosis; however, she did suggest he go see a dentist as soon as possible. Out of the three, he did prescribe the above medication for the infection which he is to take for 7 days. Can Having An Abscessed Tooth Be Dangerous? Apparently! An abscessed tooth can cause serious oral health problems if left untreated. This can result in serious tooth decay, allowing bacteria to infect the centre (pulp) of the tooth. Infection of the surrounding bone which could require surgery to remove the bone. Tooth loss. 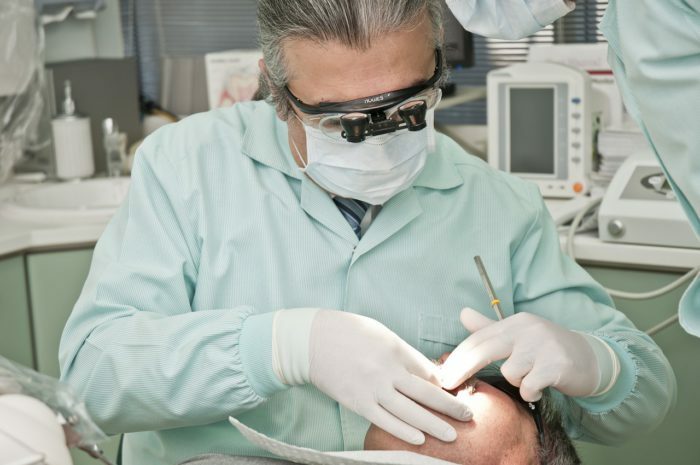 If treated early root canal or a crown may save the tooth. If not, implants may be necessary. Septicemia which means the entire bloodstream is infected. Abscess of the brain which requires hospitalization and is difficult to treat. Possible death – widespread infection in the body or brain can become too severe to be treated. Who knew abscessed teeth and gums could be so serious? I didn’t! Upon returning home, I headed to my laptop and did some googling. It is a known antibacterial. It is good for periodontal therapy. Let’s explore these a little bit further. Analgesic – Medicines that provide pain relief. Antiseptic – A substance which discourages the growth and development of bacteria. Peridontal thereapy – This is surgical OR non-surgical techniques to restore health to the tissues that support the teeth (gums and bone) and prevent tooth loss. To my way of thinking, these are all positive benefits of CBD. Note: CBD should not preclude dental hygiene – ie regular brushing and regular visits to your dentist or at the first sign of an infection. CBD Canada carry a couple of products that are high in CBD and can be ordered on their website. It is a medium to high dosage and recommended for severe conditions such as high anxiety, tooth/muscle/tendon pains/aches, cramps, extreme discomfort, migraines, depression, seizures, arthritis, PTSD, insomnia and sleep deprivation, immunity, metabolism, and appetite. It is a medium to high dosage recommended for medium strength conditions such as anxiety, tooth/muscle/tendon aches, cramps, general discomfort, exhaustion, and arthritis. Make sure to ask your doctor if you are planning on taking CBD with any other medication. I believe my husband should still see a dentist, even if the pain and swelling subsides. As for the CBD, he is taking it anyway to manage back, leg and hip pain. Maybe this will be a bonus in helping to treat his gum infection. Disclaimer: This article does not constitute a legal or medical endorsement. It is up to you to seek medical attention or advice of a medical practitioner and to make sure CBD or medical marijuana is legal in your area of residence. See full medical disclaimer here. Have you ever taken CBD products for a toothache or gum issue? Let us know if it helped. Hi Kenny. I have to agree with you that CBD is proving more effective all the time and many people, especially seniors, are tired of the medical expenses and the horrible side effects of traditional medicine. Of course, as you suggest, listening to your doctor is important. I always tell everyone I am not a doctor and that they should seek the opinion of someone who is or is in the medical profession. My friend sells CBD oils and honestly she is the last person I ever thought would do that. However someone convinced her into trying the oils for some very serious pre existing conditions and the oils literally changed her life. I am still on the fence but definitely leaning towards trying the oils for some of my pains. Hi Dale. It is true, the person you least expect is the one who surprises you. I was the same. I am sure my friends never expected me to turn to CBD oil. It is OK to sit on the fence. You will know when the time is right to try it. Good luck! I think we’re only really scratching the surface with the benefits of CBD and other elements of cannabis – it’s actually a shame it’s taken us this long to get to this point, when alcohol (the killer) has been freely available for centuries. I used to use weed, for all the wrong purposes mind, and I’ve never really had anything against it. I find it near enough madness that so many medical benefits are now linked to it…yet it is still very much illegal in my country (Wales, UK). This was yet another interesting article – I’ve been through several on your site now and they are quite an eye-opener! Hi Chris. I’ve always said the things that are considered really bad for you, like alcohol, tobacco and gambling, are what makes our governments so rich! There are so many people who claim how CBD has helped them. In my own case, if I allow myself to run out of CBD oil, my aches and pains return to my legs and hips and a good night’s sleep is almost impossible. I appreciate that you have read some of my other articles. I should check into the UK more and see what is happening there.